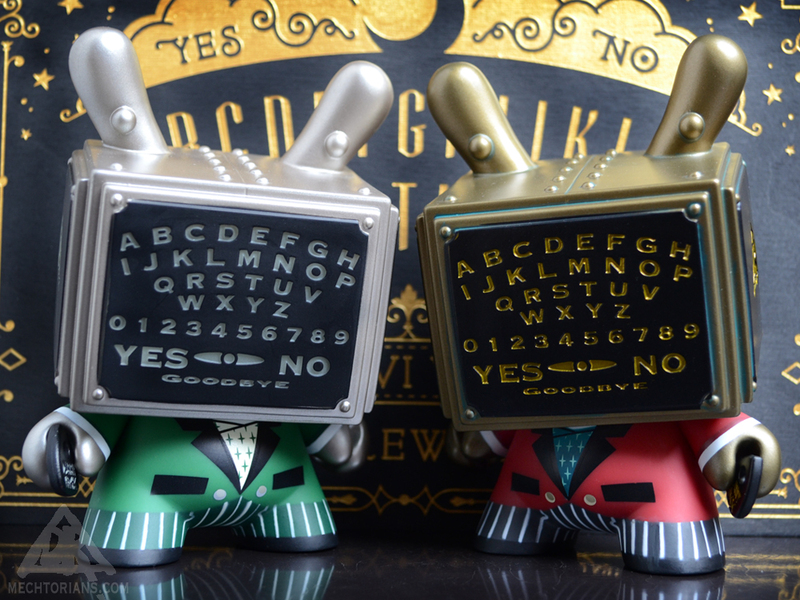 I am excited to announce that on the 25th of this month Kidrobot will release my 6th Dunny figure! 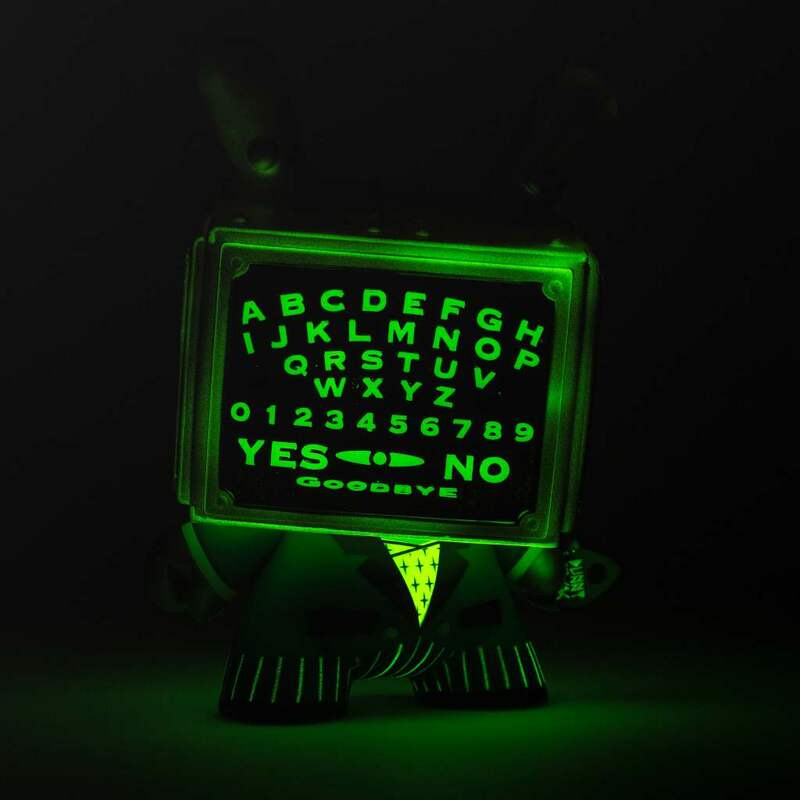 This time it is one of their new 5″ versions. 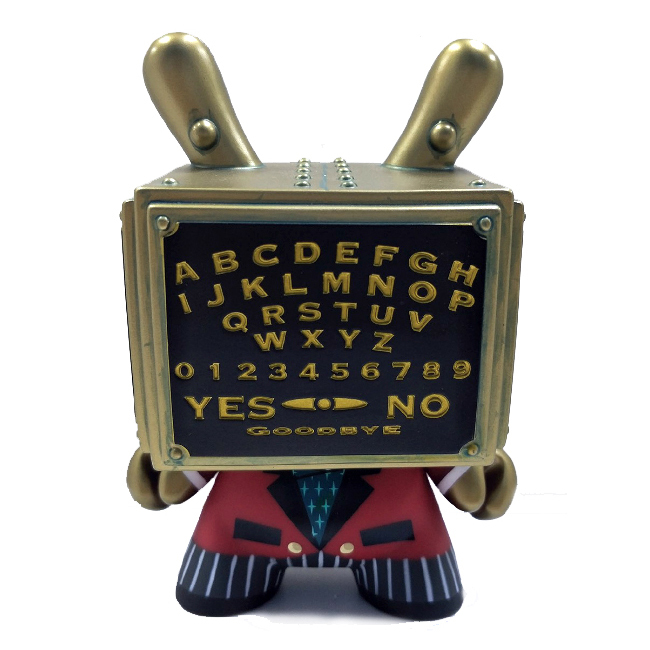 With an original head sculpt featuring a classic Talking Board design the figure also features a wind up key and a Planchette accessory. 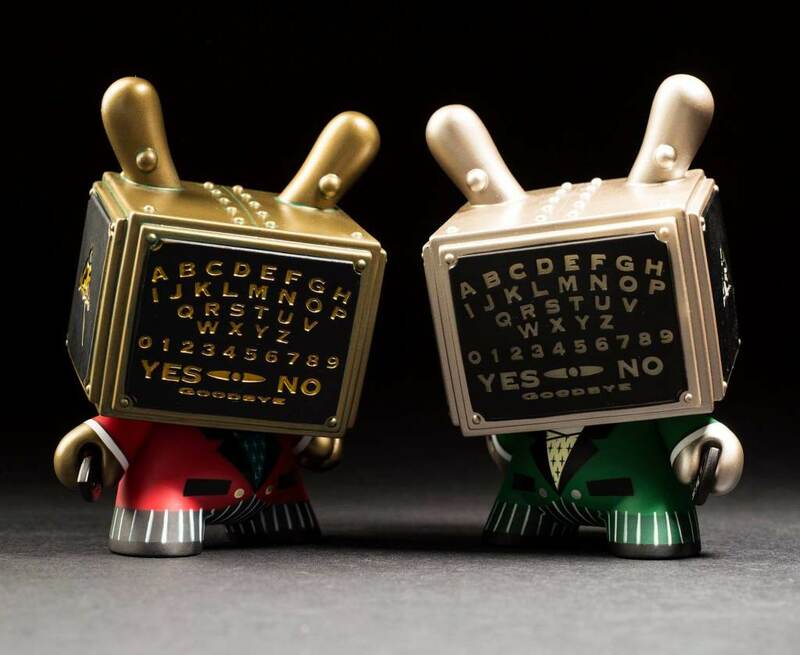 It will be available from all Kidrobot vendors worldwide from the 25th. I will have some APs available in the near future too. Please note that these will be offered to my Patreon “First Dibs Club” members before heading to my public online store. You may consider joining the club yourself to reap the benefits. 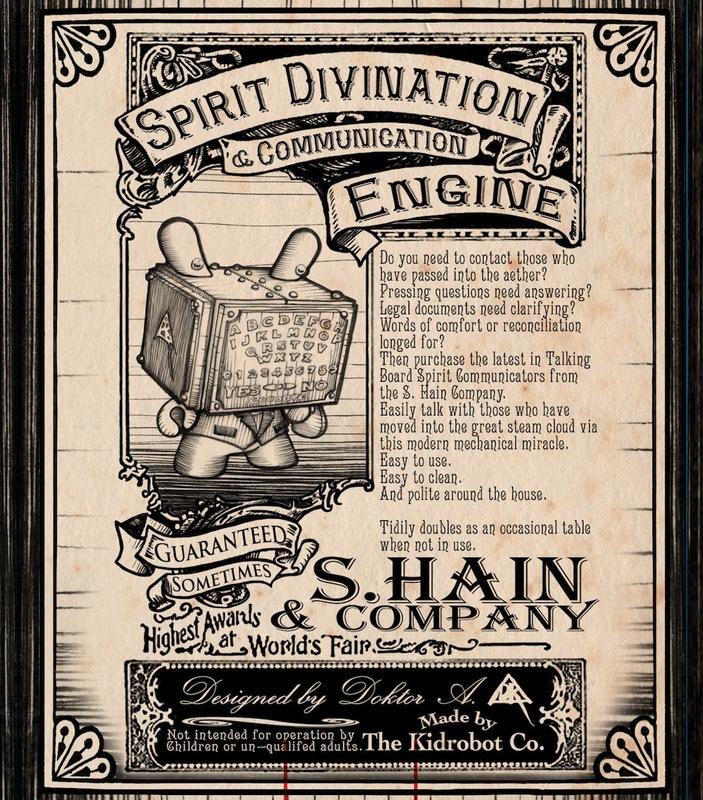 Do you need to contact those who have passed into the aether? Words of comfort or reconciliation longed for? 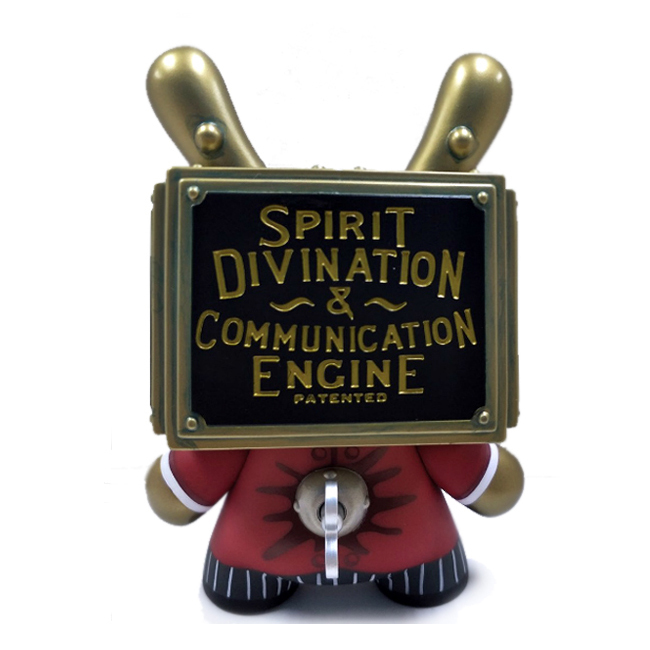 Then purchase the latest in Talking Board Spirit Communicators from the S. Hain Company. Easily talk with those who have moved into the great steam cloud via this modern mechanical miracle. And polite around the house.